Orphaned children are the most vulnerable people in a society. 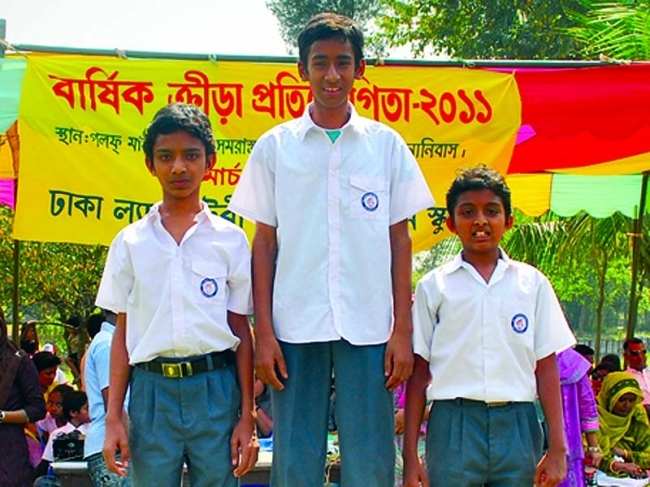 At Zakat Foundation of America’s (ZF) Orphan Center in Dhaka, Bangladesh, special care is given to help children live lives as close to “normal” as possible. Abu Yusof, who is 12 years old, came to the ZF Orphan Center four years ago. His father died when Abu was one years old, and poverty drove him to work as a house servant at a tender age. He came to know of the ZF orphan center and gained admission. Shortly after his admittance, he lost his mother in a car accident. Despite all his personal setbacks, Abu Yusof has excelled academically. He is now in the sixth grade and ranks top of his class. He aspires to become a teacher to help others learn. Recently, Abu Yusof’s school arranged a picnic where it recognized the academic achievement of students in high standing as well as achievements in sports and extra-curricular activities. Abu Yusof was excited to attend the picnic where he won two prizes. In total the children from the ZF Orphan center received thirty-three awards, nearly one-third of all that were given out by the school. ZF’s Center is home to thirty-two orphaned boys from different areas of Bangladesh, ranging in age from five to their early teens. The Orphan Center provides a home and secure environment. Children receive support and assistance from experienced teachers and care-givers to help with their homework and day-to-day problems.